Hitler issues Directive No. 15 outlining the details of ‘Operation Sea Lion’, the German invasion of the British Isles. In advance of the landings, the Luftwaffe is to begin operations against British defensive positions, airfields and radar installations along the southern coast of England on the 15th August 15 with 2.600 aircraft having been earmarked for this purpose. Hitler declines an Italian offer to participate in the invasion of Britain. Italians attack British garrison at Moyale in Abyssinia. Troops of Army Group North continue their advance from Pskov toward Luga, 75 miles from Leningrad. 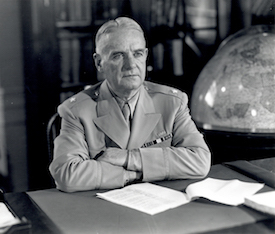 President Roosevelt orders the establishment of the OSS (Office of Strategic Services), with Colonel Donovan as director. Hitler switches forces from Army Group B’s drive against Stalingrad, to Army Group A in the Donets Basin, as he was convinced that strong Russian forces were still west of the river Don and was determined to trap them in the Rostov area. This move reduced Army Group B to that of flank protection for Army Group A. Despite the maximum efforts by the German forces to break through the Soviet defenses at Kursk, no further gains can be made, so Hitler orders the suspension of Operation ‘Citadel’ and orders the transfer of various divisions to the West. The outcome of this battle represents a tremendous victory for the Red Army and ends hopes of any major German offensive operations on the Eastern front in the future. The British advance into Sicily continues with the capture of Augusta and Ragusa. The Japanese sink the US destroyer Gwin and severely damage three cruisers for loss of cruiser Jintsu in Kula Gulf. A Junkers 88, equipped with secret SN-2 radar, lands by mistake on am RAF airfield in Suffolk. The Russians announce the capture of Vilna and continue their advance into eastern Galicia. Chifley is elected leader of Labour Party and becomes Prime Minister of Australia.